Acting Interior Secretary David Bernhardt and the Trump administration broke their deal with the West by scrapping the last administration’s bipartisan plans. Not only do these amendments put the bird on a fast-track to an endangered species listing by removing critical habitat protections for industrial oil and gas development, but also fly in the face of the department’s halfhearted migratory corridor initiative by allowing leasing to be prioritized over habitat for big game species like elk, mule deer and pronghorn. A group of oil and gas companies and associations, including former clients, sent then Deputy Secretary David Bernhardt a ‘thank you’ letter for his work rolling back sage-grouse protections. The letter references issues related to Bernhardt’s role in the sage-grouse review as well as other activity that his former client appears to benefit from. An investigative report by CNN highlighted emails obtained by WVP that showed an IPAA lobbyist emailing an Interior staffer about the new guidance. Bernhardt’s public calendars confirmed that he attended at least three Interior meeting on sage grouse that included staffers who had communicated with his former client, IPAA, on the issue. After the 2015 agreement, the U.S. Fish and Wildlife Service specifically cited habitat preservation as the reason for removing the bird from consideration. Report: Full analysis of oil and gas industry communication with Interior and State Bureau of Land Management on sage-grouse overhaul. This move will impact over 350 species that depend on the “big empty” of the sagebrush sea – habitat that drives over $1 billion in economic output each year from outdoor recreation alone. An analysis by WVP highlighted who benefits from the sage-grouse plan changes. 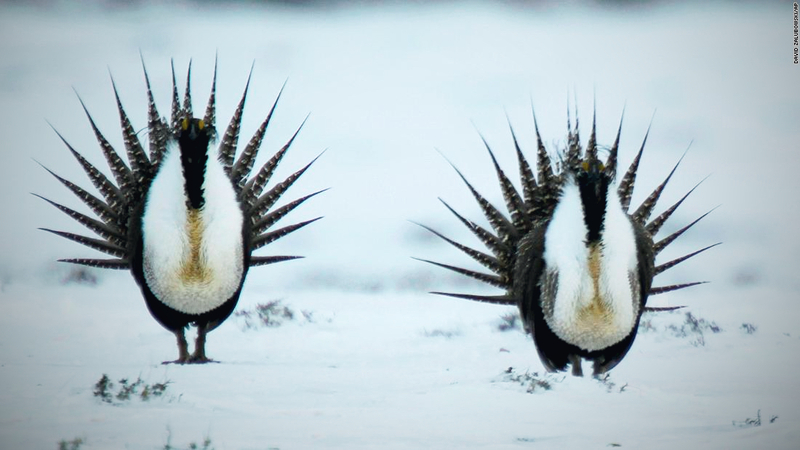 Leaked document reveals industry influence of Interior’s sage-grouse review. The Casper Star-Tribune reported that it appears roughly 100,000 public comments were not included in the final report. WVP called for an investigation. Listing the bird under the Endangered Species Act would result in numerous lawsuits from groups on both sides of the issue, and prohibit development across a wide swath of public land. Bernhardt led Interior’s sage-grouse review, which stripped away “protections from about nine million acres of the sage-grouse habitat, a move that in a stroke opened up more land to oil and gas drilling than any other single policy action by the Trump administration” — and a move that generated rebuke from fellow Republicans. Utah GOP Governor Gary Herbert also said that Bernhardt’s proposed sage-grouse policy changes were at “conflict” with Utah’s conservation plans, noting that some Western governors consider the sage-grouse review one that “threatens to undermine a hard-won compromise” for the region. In 2017, California asked Nevada for 20 wild-trapped grouse for three years for translocation, as Clear Lake’s “population growth” had stopped. The growth was the result of many past bird releases between 2005 and 2014, when numbers on the only extant lek increased from 5 strutting males to 30, then remained “stable” when the infusions of birds stopped. There used to be 45 leks around Clear Lake and Devil’s Garden, and now there’s only one. Have read other articles by Katie Fite – on Mountain Journal, I think. As Carol says – BLM doesnt need a scapegoat. Guess they can do whatever they want with no push back. 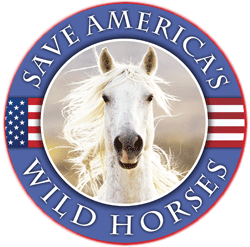 The BLM was trying to scapegoat wild horses for loss of habitat for Sage Grouse – now they have decided they don’t even need a scapegoat.